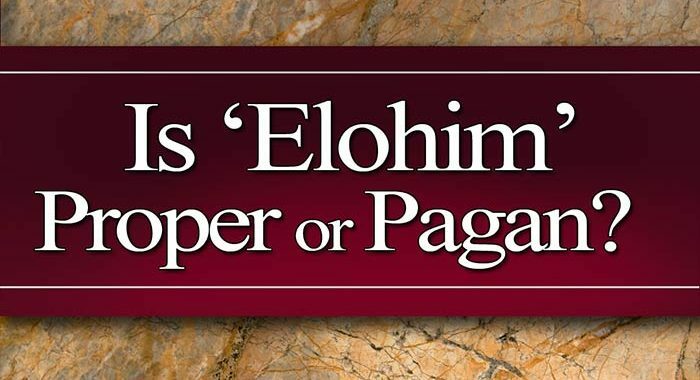 One belief is that “El” and “Elohim” should not be used by the True Worshiper because ancient Canaanites referred to their pagan deities by these terms. The issue hinges on one pivotal question: who used the title Elohim first, the Hebrews who spoke the heavenly language of Hebrew, or the Canaanites who spoke a related Semitic tongue? If we accept that Hebrew was the original language of mankind, and can show that “Elohim” is found in the oldest Hebrew texts available to us, then we can know that the word was inspired of Yahweh. That means it was used first in the Hebrew and only later was usurped by the Canaanites, not the other way around. 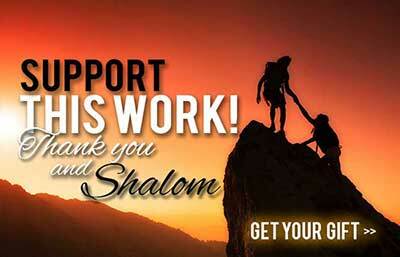 We can do exactly that by looking at the oldest Biblical manuscripts in existence, which are the Dead Sea Scrolls. A leather scroll of the complete Book of Isaiah was found dating back 1,000 years before the Masoretic text, the oldest Hebrew transcript in existence up to that point. In his book, The Temple Scroll (vol. 2), Yigael Yadin reproduces the Hebrew text of Deuteronomy in which Elohim is commonly used (for several examples, see Column LIV, Deut. 13:3, p. 401). If Yahweh refers to Himself as Elohim, who is any man to say it is wrong? Would Moses, who was inspired to write the first five books of the Bible, ever use a pagan term for our Creator? The terms El and Elohim could not have “crept into” a later text of the Scriptures if they already appeared in the earliest one! Because no manuscripts have been found that are older than the Dead Sea Scrolls, we conclude that Yahweh inspired the term Elohim. Moses wrote it and Israel used it. Different Sources of the Biblical Text? This theory of the “documentary” view of the Bible, also known as the J-E-P-D hypothesis, was conceived by secular critics of the Bible ostensibly to bring into question the inspiration of the Scriptures. The Dead Sea Scrolls, as the oldest existing manuscripts, reveal a different story. This hypothesis is also being discounted by modern scholarship as increasing numbers of Biblical scholars are acknowledging its fallacies. In a 1959 interview in Christianity Today, distinguished Hebrew scholar Cyrus H. Gordon rejected the notion that the use of “Elohim and “Yahweh” as divergent names implies different literary sources (Higher Criticism and Forbidden Fruit). Yahweh’s Word is handed down to us by direct inspiration, according to 2Timothy 3:16, and is not the product of conflicting manuscripts and an editor’s scissors and glue. Further, if we adhere to this theory, then the authenticity of Scripture itself is open to question. Is the Bible handed down by Yahweh, or given to us by way of editorial whim? That is of utmost and fundamental concern to the Bible believer. Inspiration of the Scriptures is the foundation on which our very beliefs must rest. If the Bible cannot be trusted then the Truth we hold is itself in question. That “ancient parent Semitic language” was Biblical Hebrew. We find that Israel upon entering the Promised Land had no trouble communicating with the various Canaanite peoples already there. That was because they spoke sister languages, much as Germans can understand both High and Low German. Is it therefore any wonder that the Canaanites, living in the Promised Land, who spoke a Semitic tongue that derived from Hebrew, would use the same word Elohim that the Hebrews used — only applying it to their deity instead of to Yahweh? We learn that the same thing likely occurred with the use of the sacred Name “Yah” in Egypt. Notice the following from theEncyclopedia of Gods by Michael Jordan: “Yah — moon god. Egyptian. Yah may have been an import to Egypt brought by the Semitic immigrants…” (p. 291). The practice of name borrowing was common in history. As people migrated they took their beliefs, language, and names with them and spread them wherever they went. One argument says that the terms El and Elohim crept into the Hebrew language years after the original Scriptures were written, citing Isaiah 19:18: “In that day shall five cities in the land of Egypt speak the language of Canaan, and swear to Yahweh of hosts; one shall be called, The city of destruction” (“city of destruction” is a mistranslation, and properly should have been “city of righteousness,” from the Hebrew ha-zedek). This passage is a future prophecy concerning the conversion of Egypt in the Kingdom, when all will speak Hebrew. The verse has nothing to do with bringing a pagan Canaanite language to Israel. “Language of Canaan” is simply a poetic reference to the Hebrew tongue because of all the Hebrew-speaking Israelites who settled there (see Cyclopedia of Biblical, Theological and Ecclesiastical Literature). Further, in the 8th century B.C.E., when Isaiah was writing this, the language of Canaan was Hebrew, not Canaanite. As a footnote, in going from one language to another, the actual letters we choose to replicate the sounds in a name are essentially inconsequential, so long as those letters accurately express the sounds of the original word. Some who think that “El” is wrong to use make peculiar substitutions, like replacing the “el” with a “yl” in words like “Israyl.” This is an effort to make it appear as if a perceived “problem” has been fixed. It is not much different when churchianity capitalizes “god” in order to make a generic title into a name. But in this case, changing the “e” to a “y” amounts to changing the inspired Hebrew word itself by substituting a yod for the aleph in “el.” Does changing the “el” to “yl” return us to the proper, original word? If so, where is the proof that “yl” is more correct? Where is the Hebrew word “Israyl” found anywhere outside the private writings of a few detractors? Moreover, one wonders how the substitution of “y” for “e” makes any difference in the pronunciation of the word anyway. We must never attempt to shore up our own private doctrines by changing the Bible to make it fit our beliefs, either by taking from it or adding to it. We have no authority to do so. It is Yahweh’s Book, not ours. The command in Revelation 22:19 is clear and sobering: “And if any man shall take away from the words of the book of this prophecy, Elohim shall take away his part out of the book of life, and out of the holy city, and from the things which are written in this book” (see also Deut. 4:2, Prov. 30:5-6). It is clear that El, Eloah and Elohim are proper in reference to “Mighty One(s)” in the Scriptures. One can make a solid case that the original language on earth, handed down from the very heavens, was Hebrew. It was the language of the heavenly messengers, who always spoke to humankind in Hebrew and to those whose native tongue was Hebrew. Yahshua spoke to His Father in Hebrew (Aramaic) while hanging on the stake, Matthew 27:46. His words were not translated in the New Testament, which is auspicious for us. Notice what He said. “And about the ninth hour Yahshua cried with a loud voice, saying, ‘Eli, Eli, lama sabachthani?’ that is to say, My El, my El, why have you forsaken me?” “Eli” means “my El” in Hebrew (“i” stands for the possessive “my”). If El were a pagan term and condemned by Yahweh, our Savior certainly would never have used it in calling out to His own Father. If “El” were a pagan reference, why do so many patriarchs retain “el” in their names? Elijah (EliYah), Elisha, Eliezer, Ezekiel, Daniel, Joel and many more include the legitimate Hebrew word El. If El is so wrong, why is it found in the names of the great archangels Michael (a name meaning “Who Is Like El”) and Gabriel (“El Is Powerful”)? These angelic beings existed long before the earth itself, certainly long before any pagan languages or pagan deities. After getting the promise of a great nation in the memorable dream about the ladder, Jacob called the site where he had slept “Bethel,” a name that means “House of El” (Gen. 28:19). Later, in Genesis 35, Jacob was told by Yahweh to go to Beth-el and build an altar there. Jacob called the place of the altar “El-Beth-el,” or “El of the House of Elohim.” In Genesis 33:20 he again erected an altar, this time at Shalem, and called it “El-eloah-Israel,” or “El, the Elohim of Israel.” Certainly the eminent patriarch would never have named any place in honor of a pagan deity. It is clear that the titles El, Eloah, and Elohim are legitimate Hebrew terms that were inspired of Yahweh and used by His people, including His own Son. To say they are from paganism is to believe a delusion of one’s own making. ← Was the Savior Greek? True teaching is never based on personal opinion , speculation.or eisegesis . Professing to be wise many people are fools. So-called ‘elohim’ is a Hebrew corruption based on uninspired, fallacious vowel points invented about 1,000 years after M’shikha walked the face of the Earth . If it is used it should be transcribed as ALhim . AL IAH ! AL IAH ! L’mana zabakhthani ! A strong loud cry of victory over sin and death to the Father who would never leave him or forsake Him . Where did you learn that there is no E or O in Biblical Hebrew? Because we are taking a accredited Biblical Hebrew class and it completely disagrees with what you are saying. 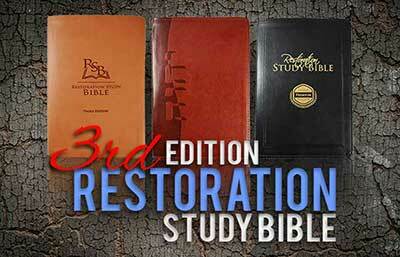 Do you have a link to this Hebrew that we can study? or did you learn it from some fly-by-night “Hebrew Teacher” on YouTube? Do you have a way to prove and know Hebrew and it’s associated vowels WITHOUT the Masoretic vowel points? If so, I know a handful of PhD’s that would be absolutely blown away by this discovery.